IF WE LEAVE TACLOBAN, WHERE WILL WE GO? Zenaida Royo (above) knows people are fleeing her city. She‘s seen neighbors packing up their things after Super Typhoon Yolanda (Haiyan) ravaged the Visayas. They left via commercial flights, private cars, and buses. She knows it isn‘t safe for her or her 6 children, but she says she doesn‘t have a choice. If they leave, where will they go? It‘s a question many of the poor survivors of Yolanda have no answers to. Royo is a housewife while her husband is a pedicab driver. Tacloban is the only place the Royo family ever called home – even if home means never letting your guard down at night, for fear of looters and thieves. When and how “normal“ will happen, Royo isn‘t sure. It took more than 24 hours before the first C130 cargo plane arrived in Tacloban to bring relief to Yolanda survivors. 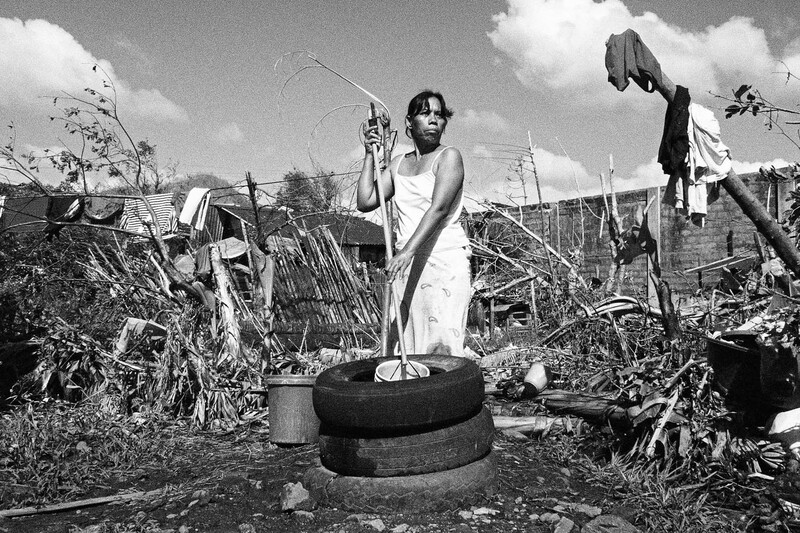 It took even longer before police and military forces were deployed in different parts of the city, restoring order in a community that had been rip to shreds by Yolanda‘s strong winds and its after effects – hunger, fear, and uncertainty. 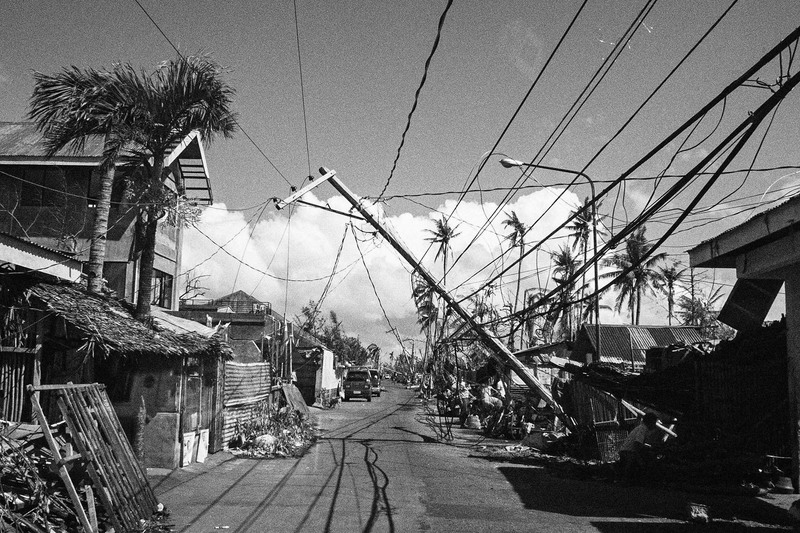 The local government unit – which, according to the national government‘s disaster plans, should be the first responder, was incapable of dealing with Yolanda‘s destruction. Tacloban Mayor Alfred Romualdez says they were victims themselves. 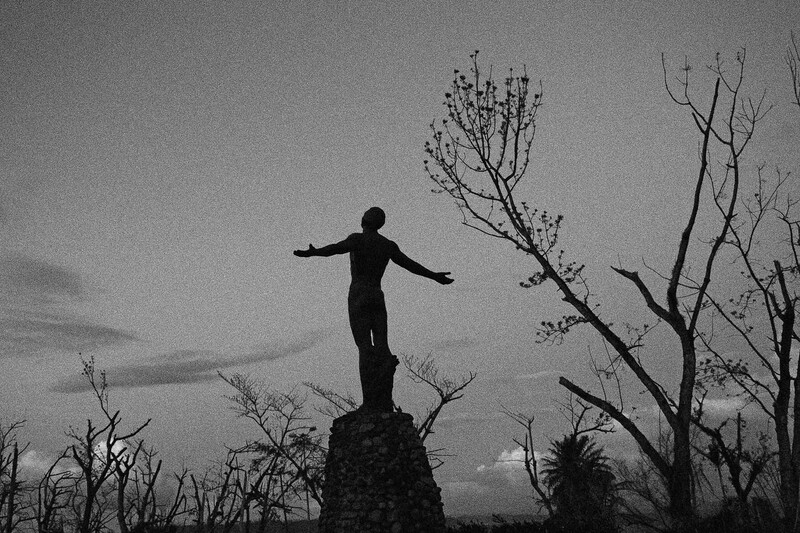 At least 694 died in the Leyte capital, while 15 are still missing. 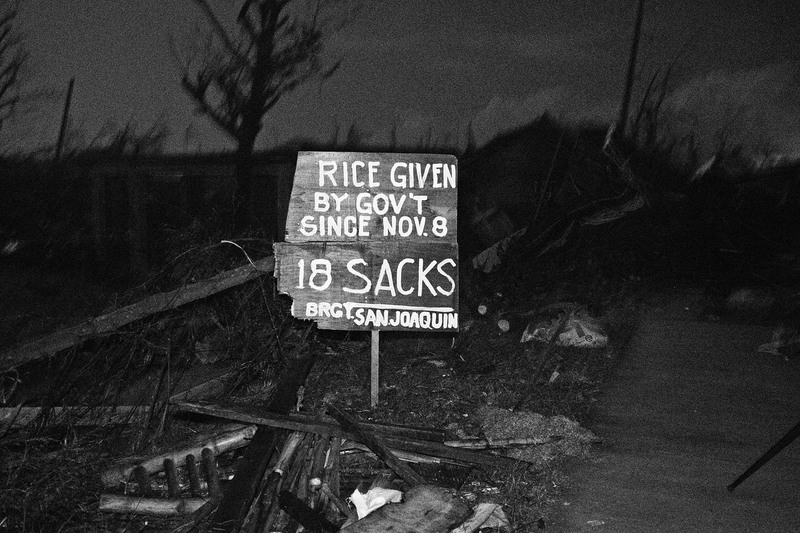 V and G subdivision, where Royo lives, was spared from the deadly storm surge and houses were intact, albeit roofless. The military earlier warned residents about possible looting in the area. Male residents in V and G subdivision took it upon themselves to guard the women, children, and elderly. Street-mates set up checkpoints on the streets, making sure the vehicles that were coming in and out of the village were harmless. Euno Aerola, a V and G resident since birth and grandson of the subdivision‘s founding stockholders, said the days following Yolanda were nerve-wracking. He had never held a gun before, but once fired a warning shot the Saturday after Yolanda because someone was trying to enter their house. “We‘re not saying that mas privileged kami or we‘re asking more from government, pero sana ensure our security man lang,“ said Areola. The security scare and the lack of clean water prompted Areola to send his wife, 3-year-old son, and 79-year-old grandmother to Manila. His son had gotten diarrhea while his grandmother, who had just recovered from a stroke, was running out of medicine. His wife, son, and grandmother are only 3 of the many Tacloban locals who fled the city following Yolanda. From Marabot in Eastern Samar to Tanauan in Leyte, Yolanda survivors make the tough decision of leaving home, or what used to be their home. The little that Royo and the many that other residents have, they share. Royo lets neighbors fetch water from their makeshift well, while Areola‘s aunt gives extra food to their neighbors. Areola said it doesn‘t mean they‘re saying goodbye to the city forever. Once it‘s safer, once there‘s water, and once they manage to fix their homes, he said they will come back to the only place they‘ve ever called home.